Bigben Interactive sets to bring a new action-RPG for the first time set in the Warhammer Fantasy universe. 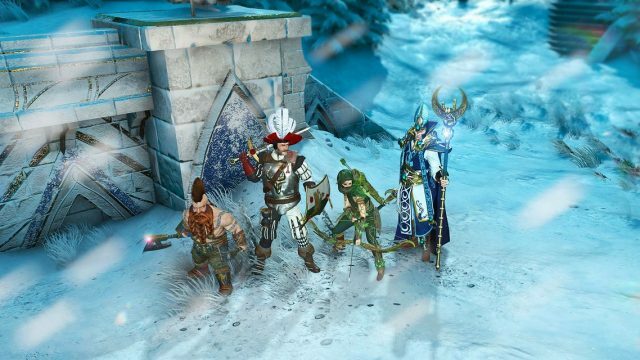 Warhammer: Chaosbane is a hack ‘n’ slash title that allows players to take up roles of Soldier of the Empire, a Dwarf Slayer, a Mage High Elf or a hunter-like Wood Elf. With plenty of unfriendly creatures such a nurglings to destroy and gruesome bosses to slay. But how will this game shape up with there already being a plethora of Warhammer games, books, tabletops and more? 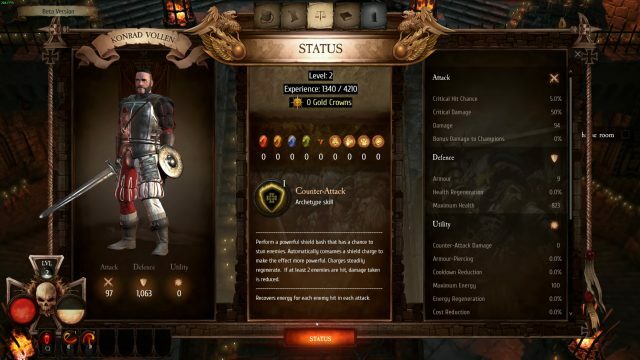 We take a look at what’s known so far about Chaosbane after the release of its first beta. The first hack and slash action-RPG set in the Warhammer Fantasy world. Brutal and ferocious combat with monsters, fight using over 180 different powers. 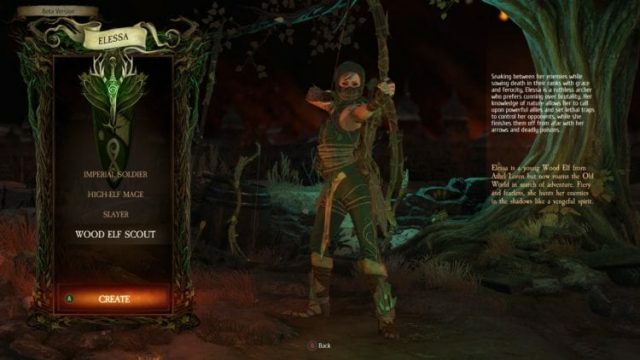 Choose from four character classes which include Soldier of the Empire who can take a beating, Dwarf specialising in melee combat, High Elf who deals ranged damage wielding magic to their will or Wood Elf who uses their hunting abilities consisting of traps and bow skills. Over 70 monster types to battle against, unique bosses and many of the Nurgle’s minions fight through. Play solo or with up to four players in local or online mode. Classes have been synergised to work together well in co-op. Mixing different skills and abilities can create powerful effects. Versatile playing experience with different modes to enjoy including story mode, boss rush mode, a number of dungeons and regular updates. Nine levels of difficulties so you can find new challenges when you up the ante. Players will be able to adventure through several well known places in the Warhammer universe including the cursed city of Praag and Nuln, known as the Empire’s old capital. You will serve Magnus, a soldier who has helped to bring together the warring factions and lead the united front against the Chaos. However, Magnus gets cursed by a sorceress who you will need to track down in order to reverse the effects. While each character has their own well deserved backstory which is introduced at the beginning of the game, no matter which character you pick, the main plot remains the same. This was designed so that in co-op the campaign story will not differ, creating a more cohesive gameplay whether in a group or playing solo. 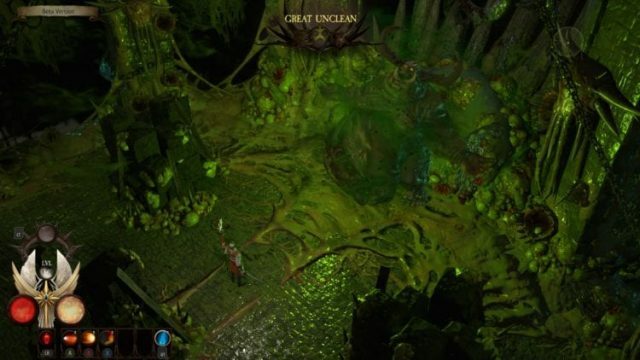 Warhammer Chaosbane takes on the first action-RPG to be set in the Warhammer Fantasy universe. 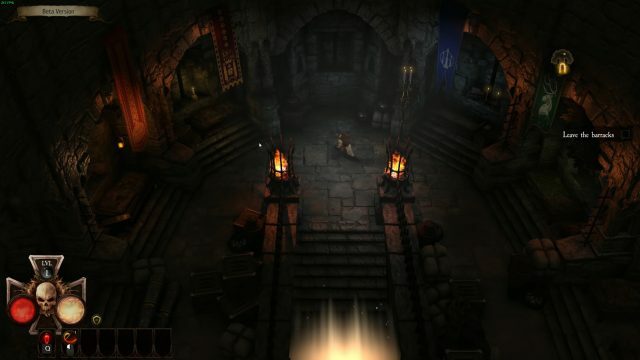 The layout takes inspiration from the Diablo series, displaying a spherical health meter on the left and an energy meter on the right. In order to regain energy, you use your primary skill to regenerate the meter. Using Q you can refill your health meter, but this also has a cooldown so must be used at the right moments. 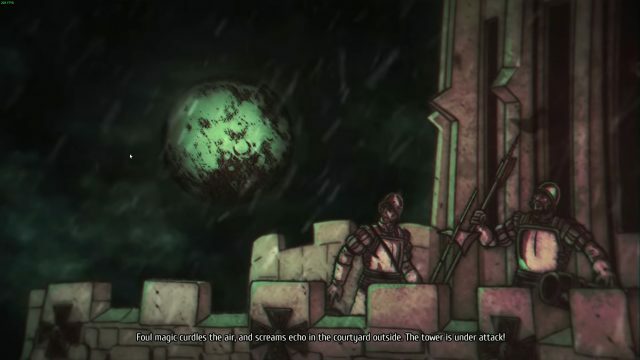 While there are nine difficulty levels to choose from, normal is the third level from easy, in the beta the devs had the harder difficulty levels locked. Hopefully, each of the more difficult levels will add further challenge for those looking for a tougher and rewarding playthrough. Each quest you take on will reward you with experience and gold which can be used to purchase items from the vendor. The vendor gives you the options to Donate, Trade or access Relic Hunter, this can gain you new useful items. Located in the trio gauge, the top small spherical meter indicates your progression to the next level, as you gain experience you will fill this meter. Experience also comes from killing enemies, even minion type creatures will go towards gaining you your next level. A new skill will drop automatically as you level up, introducing them one by one which makes it easier for players to test out new skills as they acclimate the controls. You will then need to decide which skills you wish to keep active, as you level you will gain Skill Points that can be spent in gaining or improving skills, how many skill points needed will depend on the skill type and tier of that skill. 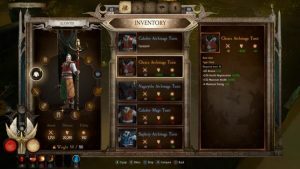 There are a few classes to choose from which will alter the type of combat you will experience but ultimately Warhammer Chaosbane is a hack and slash. If you choose a melee class, combat is up close and personal, while a ranged class such as mage or wood elf will create distance between yourself and the enemy. But each class has its own archetype ability which adds a different feel to your usual RPG gameplay. Classes also have a sort of rage form called Bloodlust, enemies will drop orbs that will fill up the rage meter which will be then be unleashed according to your chosen class. Elontir will fire blood-red discs while Braagi the dwarf will send axes in every direction. This will probably result in some very satisfying kills as you unleash your fury. Environments also aren’t just there to look gruesome, they also act as cover in fights. You can hide behind pillars, to avoid boss attacks or even cast magic from behind them. As you keep fighting these elements might get destroyed in the process, keeping the battles rather active so you’re not just fighting in one spot all the time. Bosses like the Great Unclean also have AOE attacks such as spikes that come up from the ground, so being on your guard and watching your surroundings will be key. This will be especially fun playing in co-op as you’ll need to work with your team players to come up with strategies that take advantage of your abilities. As you level up you gain new skills, these are bound to your action bar which on PC uses the standard QWE and left-click/right-click on mouse. These can be used as long as you have resources to spend. For example the Soldier will use Energy as his main resource. 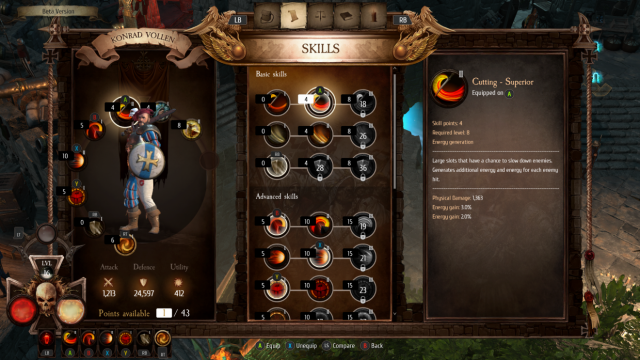 You can also upgrade these skills by spending more skill points which each roughly have three tiers. You can activate new abilities, as they become available as long as you don’t exceed the maximum skill points available. Its also possible to swap skills around to suit different missions, making the system rather flexible, being able to amend these at anytime with no cost. But there are also further abilities that you draw from the gods. 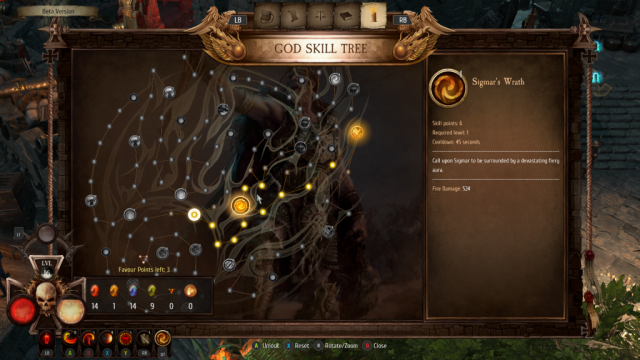 The God Skill Tree offers a wide variety of abilities that are purchased by looted coloured fragments, which are gained from enemy kills. These have a combination of active and passive skills that can enhance your gameplay. The skill tree is mapped out in the shape of a Sigmar’s Comet. The system reminds me a lot of the previous World of Warcraft skill trees in the Legion expansion or the likes of the expansive Salt and Sanctuary skill tree, which will require you to unlock previous nodes before unlocking others further down the line. But don’t think you’ll be spamming these skills as they have longer cooldowns than regular skills, means you will have to use them wisely. By having a second skill tree you could really come up with more specific builds, gaining more flexibility in playstyles when it comes to the four classes available. This tree only unlocks after Level 15 upon completing a quest. 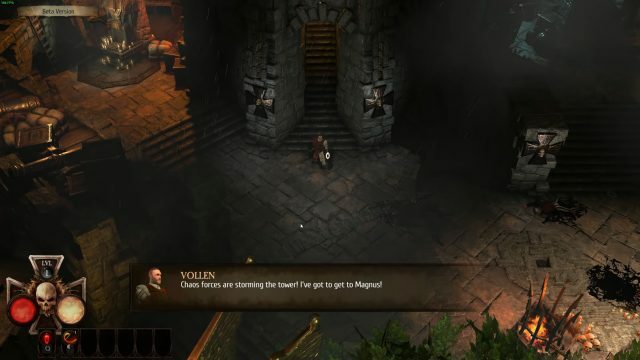 During the initial beta that took place in March, players got to experience two of the four classes, Konrad the Soldier and Elontir the Mage. But they have also released a trailer focusing on Bragi Axebiter the axe wielding dwarf slayer, showing a preview of his skills. You can gain Archetype abilities, which will unlock early on in the game. These are fixed abilities that add directional control, they also are dependent on the character you pick. This ability has a cool down, as it will need to regenerate its resource. One of the most interesting magical abilities for the High Elf class is its Archetype Ability that when casting a fire ball called Aetheric Orb, the last orb cast can be redirected using spacebar and using the cursor to aim at a target. The fire ball will then change paths making this ability very reactive to different combat situations, and quite deadly if used in combination with another ability. Mages can be built to suit your preference, whether you want to go for fire to wield fireballs at your enemies or for a different elemental focus. Konrad Vollen the Soldier acts as a melee class, with his own Archetype ability called Counter Attack which acts as a bash. This will knock enemies flying dealing damage as well as create space between you and your target. This ability will need to regenerate over time once used and for the soldier it comes in the form shield charge. This woodland elf appears to be a kind of hunter class, using a bow as the main weapon and can use additional traps to stagger enemies. Not much else has been revealed about this class at this stage as this wasn’t an option in the recent beta. While small in stature he’s not to be under estimated especially when powered by bloodlust which sends out spinning axes in all directions. A more up close fighter, he has a great deal of mobility when he unleashes his bloodlust. While not much else is known about his skills at this point, only from what has been show in his character trailer, this looks like a fun class to try. Off course you will be faced with the big bad bosses but there are a host of smaller enemies to face. These include the Nurgle’s minions, Nurglings who like to swarm unsuspecting adventurers who cross their path. One boss unveiled so far is the Great Unclean, yes its just as pleasant as it sounds. While not being a mobile boss, he spends his time in his own filth and uses projectile vomiting as one of his attacks, mmm lovely. He also likes send out directional shockwaves and call upon his minions to do the dirty work. Definitely lives up to his name, eww. As expected with an action-RPG loot plays its role in gaining new gear which has its own traits to add to the mix. These can add to core attributes in the areas of attack, defence (which covers things such as health regeneration), as well as utility which includes counter-attack or even cooldown recovery. So far there doesn’t seem to be rarity levels which is seen in the likes of action-RPGs such as Last Epoch or even Path of Exile. For items shown in the beta this isn’t present, but maybe this is something they could add later on. 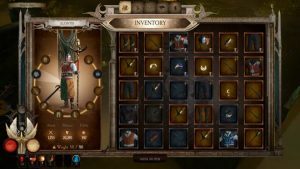 Loot systems play an important role in this kind of game, as it has to be organised in such a way that players can located newer items looted which is something Chaosbane has adopted already, but having further ways to organise items would be appreciated especially when you’re dealing with tonnes of loot. There is great attention to detail when it comes to environments in its isometric view, everything looks well designed, reflecting the the medieval feel of the game. You can loot items from barrels by destroying them which gives a rewarding feeling. Even when you strike down an enemy, they’re flung backwards in a rag-doll motion making your kills very satisfying to watch. 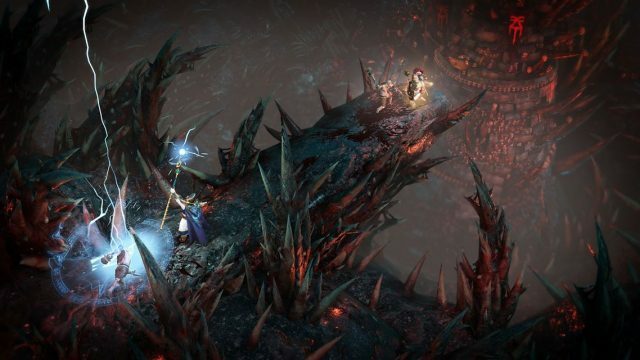 However, what makes it feel like a Warhammer game is the use of its dark and at times gruesome elements from backgrounds to monsters you’ll encounter. What’s interesting for this game is that there is a different layout depending on if you are using a keyboard and mouse setup or gamepad on PC. Playing with a gamepad will offer a layout that is a little more compact, more optimised for scrolling through menus using gamepad controls which is a nice touch. Character’s voice acting is well cast, the voices picked for each of the roles only add to the immersion of the game, I look forward to meeting more characters in game as from what I’ve seen they’re unique and only add to the experience. I appreciate the fact that Bigben has included the God Skill Tree as this will provide players with more specifics when it comes to playstyle. It will be up to you if you want to gain some more passives to boost your core skills or gain new ones that deal great damage but have the offset of longer cooldowns. 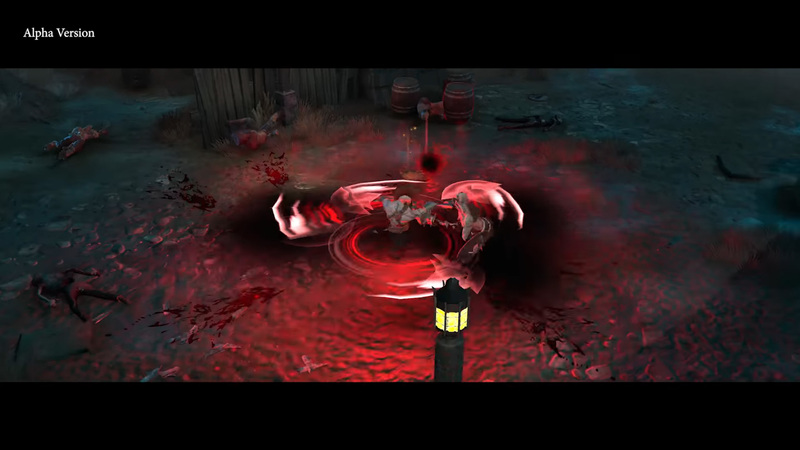 While most games may require you to spend some earned gold to change current skill setup, in Warhammer Chaosbane, changing at anytime without penalty has its good and bad. On one side this means flexibility at a moments’ notice for different fights while the downside is that it could reduce replayability of each class when respeccing has no cost. Hopefully the God Skill Tree makes enough of a difference to provide future playthroughs for players as it adds more customisable options. 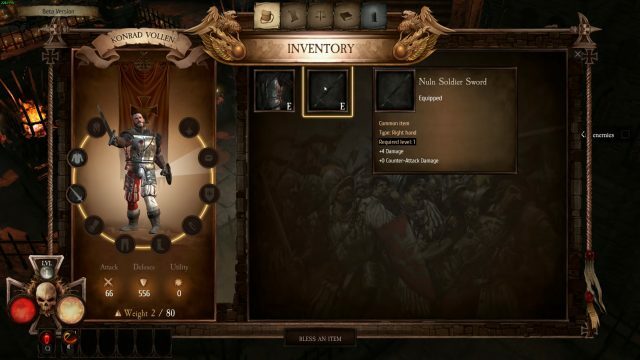 In terms of UI hopefully Chaosbane will give players options in of how they view the masses of loot they will gain while playing. Currently the gamepad view seems to offer a better at a glance view to compare items in list form but this might be down to player preference. I’m hoping each of the other classes will be equally thrilling as the two that have been shown in the beta, giving a good balance of skills that will work in both single player and co-op. 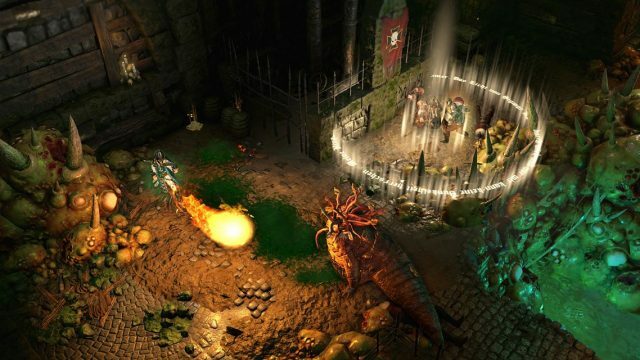 Warhammer Chaosbane releases on June 5th on Playstation 4, Xbox One and PC. Its next beta which is available for those who pre-order and will be in April. If you want to read more previews be sure to check out Warhammer 40,000 Inquisitor – Martyr Preview. You can also check out the unusual survival RPG Zanki Zero: Last Beginning. If you’re looking for a sci-fi filled adventure be sure read next The Surge 2 Preview: Stronger, Faster, Character Creation!.